Barjis have a special offer on with 50% off selected items on their website. 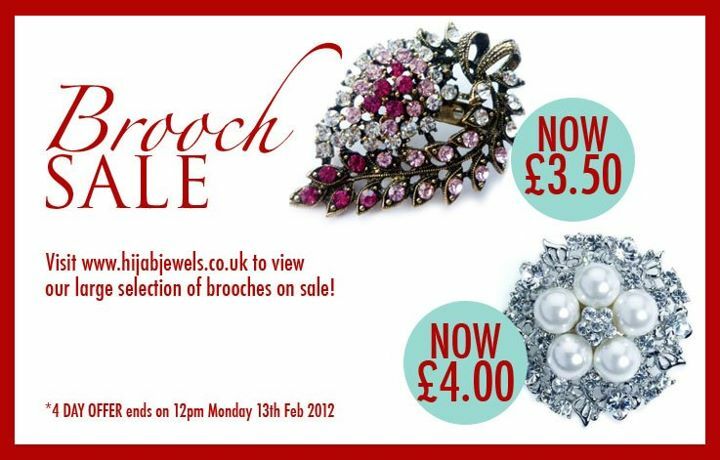 Couture Hijab Pins are giving away a free Swarovski Crystal Heart Pin with every order over £5 until 21st February 2012. 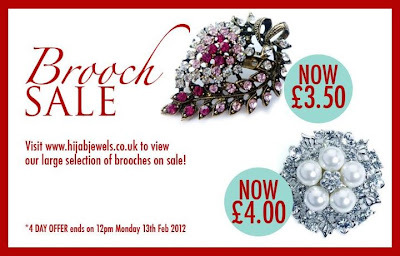 Hijab Jewels have a sale on selected brooches. Sophia Jennah are giving 15% off orders with the code SophiaJennah Winter. Hijab Stylist Saman Munir has just started selling a range of scarves and accessories on her Facebook page. I think brooches look very chic with the hijab but I don't know how to wear mine properly so I don't look too old-fashioned...so I guess I just avoid them altogether!